South Asian Americans Leading Together (SAALT), a national South Asian racial justice and civil rights organization, applauds today’s ruling by the U.S. Court of Appeals for the 4th Circuit to uphold a nationwide injunction on President Trump’s “Muslim Ban 2.0” executive order. While the President’s anti-Muslim orders continue to be blocked, SAALT continues to be deeply concerned these policies fan the flames of violence against our communities nationwide. 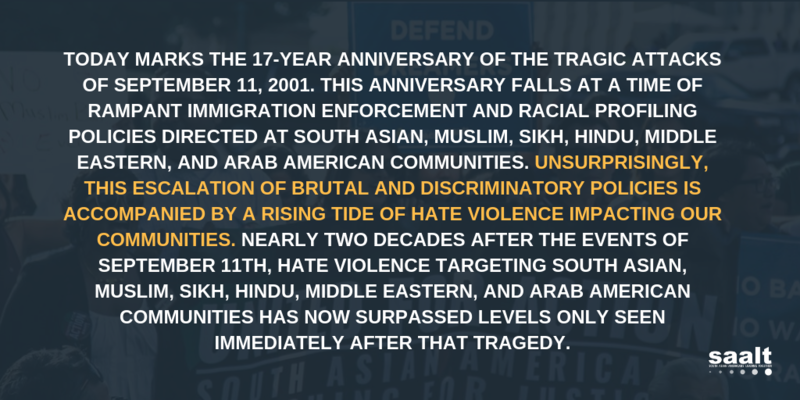 From tragic shootings in Kansas and Washington State to ongoing arson attacks and vandalism of mosques, businesses, and homes across the country, South Asian, Muslim, Sikh, and Hindu communities continue to experience a rising tide of hate and fear throughout the United States that only appears to continue growing. In January SAALT released “Power, Pain, Potential,” a report documenting over 200 incidents of hate violence and xenophobic political rhetoric against South Asian, Muslim, Hindu, Sikh, Arab, and Middle Eastern Americans during the 2016 election cycle. While we know this number accounts for only a fraction of actual incidents aimed at our communities, 95% of the incidents documented were motivated by anti-Muslim sentiment. President Trump was responsible for 21% of the xenophobic rhetoric we tracked. Even as Trump’s anti-Muslim rhetoric energized his base during his campaign, it has stymied his administration’s efforts to enact and defend the “Muslim Bans” as evinced by several federal court rulings. Today’s judgment nullifies, at least temporarily, one of this administration’s openly discriminatory policies targeting our communities. Despite this ruling, the struggle continues to ensure our communities enjoy the rights, freedoms, and protections we all deserve. Washington, DC – On April 21-24, South Asian Americans Leading Together (SAALT) welcomed hundreds of activists, organizations, students, and community members from across the country to the 10-year anniversary of the National South Asian Summit in Washington, D.C., a four-day event where participants raised their voices on urgent issues for our communities. 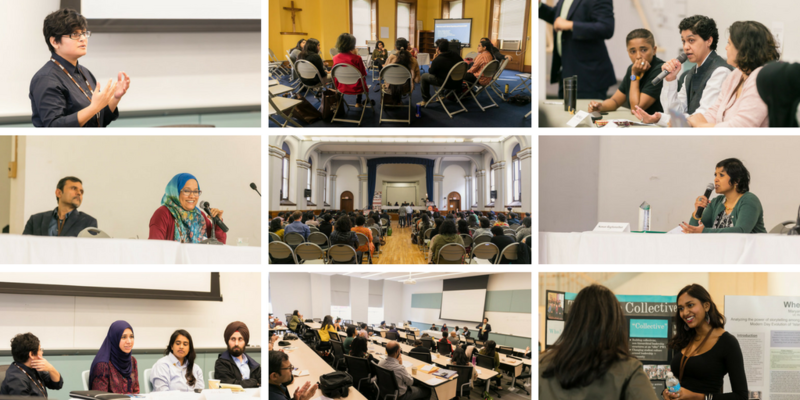 This year’s participants were a diverse group, including students and seniors, thought leaders and social workers, techies and teachers, poets, filmmakers, lawyers, counselors, and organizers who reflected the rich diversity, experiences, religions, ethnicities, and national origins of our communities. The Summit provided an opportunity to connect through a sense of collective identity, commitment to strengthening our communities, and a deep belief in the power of uniting for action in the pursuit of justice. The National South Asian Summit 2017 kicked off on Friday, April 21 at the National Press Club with the ChangeMakers Awards, an event that recognized individuals and organizations that have catalyzed social justice within the South Asian American community. This year’s ChangeMakers honorees included Vanita Gupta, former Principal Deputy Assistant Attorney General and future President and CEO of the Leadership Conference on Civil and Human Rights; Equality Labs, the first South Asian women, gender non-conforming, queer, and trans-led technology project whose leadership is from South Asian cultural and religious minority communities; Jayesh Rathod, professor of law at American University Washington College of Law and founding Director of the law school’s Immigrant Justice Clinic who also served on SAALT’s Board of Directors for 10 years; Daya, Inc., a Houston non-profit that supports South Asian women who are trying to break the cycle of domestic and sexual violence and which in 2015 became a BIA-accredited agency providing immigration services to clients in need; Zahra Billoo, leading civil rights attorney and the Executive Director of the San Francisco Bay Area chapter of the Council on American Islamic Relations (CAIR); Gurbani Kaur, a student activists, founder of the Sikh Student Association at Harvard, and alumnus of SAALT’s Young Leaders Institute; and Ravi Ragbir, fearless immigrant rights advocate and Executive Director of the New Sanctuary Coalition who is currently fighting against his own possible deportation. The evening also provided a opportunity for SAALT to express our deep appreciation to outgoing Board Chair Sunil Oommen, who served on SAALT’s Board of Directors with distinction for 10 years. A musical performance by award winning artists Kiran Ahluwalia and Rez Abassi closed out the ChangeMakers reception. 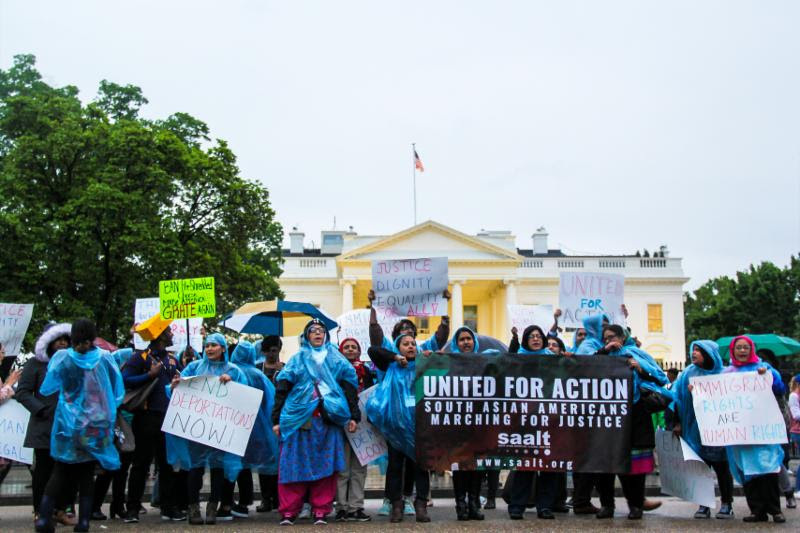 On the evening of April 22 the Summit participants took to the streets for the South Asian Americans Marching For Justice event, a rally that began at Freedom Plaza and concluded with a march to the White House. From speeches to chants demanding civil rights, civil liberties, and immigration justice for all, we marched for all those fighting for a socially just country, and we demanded the support of policymakers towards that vision. View the full agenda with all session descriptions here. The National Summit garnered strong media coverage from numerous national and ethnic outlets. 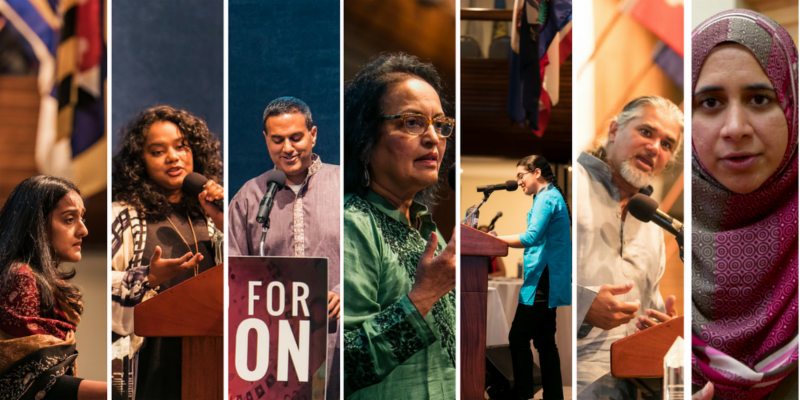 A feature in Scroll examined the Summit and the power of cross-racial organizing. 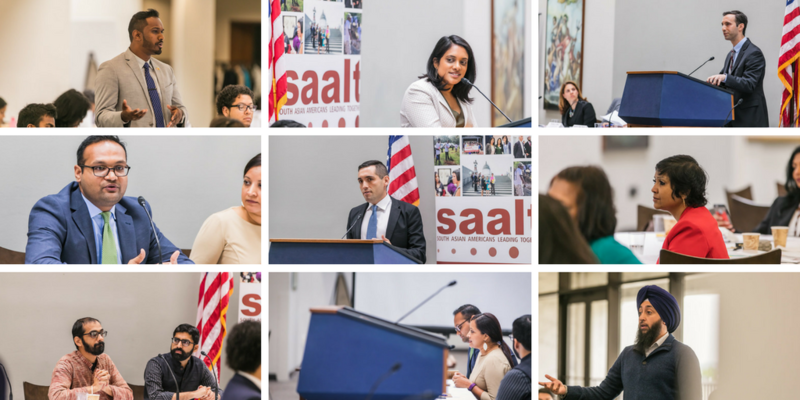 NPR’s Arun Venugopal attended the National Summit and interviewed SAALT’s Executive Director and allies for this piece on the national realities of hate crimes.. SAALT was also honored by HuffPost as one of the five South Asian American organizations every woke person should know. Thank you to our sponsors, The Four Freedoms Fund, Comcast, Savan Kotecha, Garcia Hernandez, Sawhney, LLP, South Asian Bar Association of North America, Sunil Oommen, and Mansi and Archit Shah for their generous support of the National South Asian Summit. 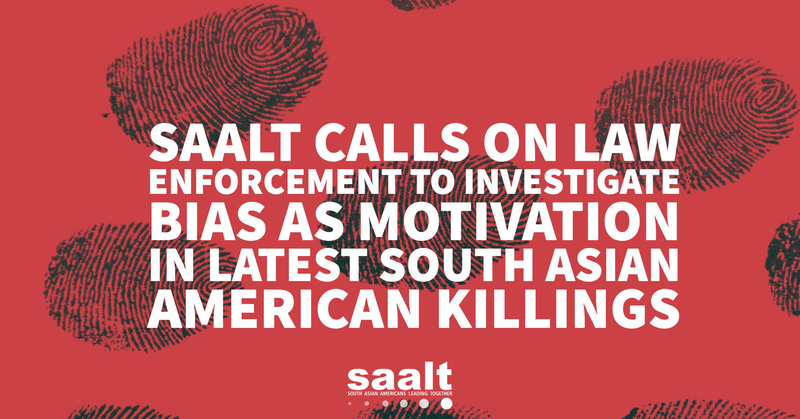 South Asian Americans Leading Together (SAALT), a national South Asian civil rights organization, mourns the loss of life in separate killings of South Asian Americans last week in California and Michigan, and demands that law enforcement investigate whether racial or religious animus motivated any of these incidents. On May 4, Dr. Ramesh Kumar was found shot dead in his car on a highway near Detroit, Michigan. Hours later in a separate incident in Modesto, California, Jagjeet Singh, a convenience store clerk, was stabbed to death by a customer outside his shop. Racial motivations have been alleged in both cases. 2017 has been a deadly year for our growing communities, including tragic shootings in Kansas and Washington State, numerous arson attacks and vandalism of mosques, businesses, and homes nationwide, and mounting fear experienced within our communities across the country. The nation has seen a groundswell of violence aimed at South Asian, Muslim and immigrant communities, with numerous perpetrators hurling epithets before committing acts of violence against community members. South Asians are the most rapidly growing demographic group nationwide. These relentless and numerous tragedies build upon the historic violence of the 2016 presidential elections. In our latest report, “Power, Pain, Potential,” SAALT documented 207 incidents of hate violence and xenophobic political rhetoric aimed at South Asian, Muslim, Sikh, Hindu, Arab, and Middle Eastern American communities during the divisive elections, 95% of which were animated by anti-Muslim sentiment. Notably, 1 in 5 xenophobic comments came from then-candidate Trump.